Flanked by shadowy pine trees and dripping stone cottages, the old Imperial post road runs through the Kiso Valley between the towns of Tsumago and Magome. In the 16th and 17th centuries it was the quickest way through the mountains, linking the principle cities of Kyoto and Edo. Now, it plays host to hikers and dog walkers, while in the villages, small- scale fish farming and forestry mark the landscape. All along the route, small bells are mounted beside the path, along with signs urging passers to ring them loudly to keep the bears away. And bears there are, perhaps more than 10,000 of them across the country, black and brown. Sightings are common. In 2011, a man was attacked and seriously injured by an Asiatic black bear not far from the post road. Yet this is not some vast wilderness country, or impoverished backwater – this is Japan, perhaps the country in the world most synonymous with modernity and urban living. So how does a country with a human population density a third higher than the UK’s manage to retain and co-exist with such large and sometimes dangerous species? The answer surely, is that on some level society has chosen to. Now, don’t get me wrong. Japan is not some eco-Utopia. In many ways its land is even more scarred and tamed than Britain’s, and certainly not everyone is happy with the presence of bears. Their numbers are declining due to habitat loss and killing, both legal and illegal, but the point still stands. Without some level of acceptance of wildlife, 21st Century Japan would have no bears at all. It is public attitude, which determines perhaps more than anything the species that share our countryside. Back in Britain, a similar battle is being fought out in front of our eyes, just a couple of notches further down the food chain. 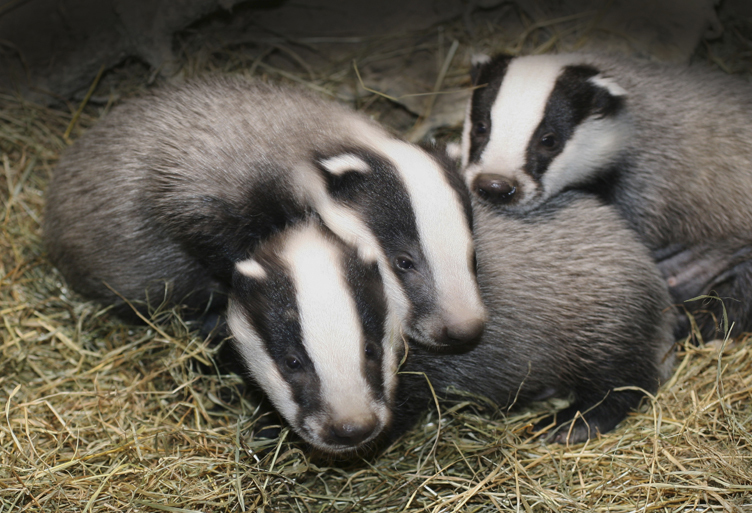 The conflict around the proposed badger cull, which is not supported by science and unlikely to significantly reduce TB in cattle, is part of this struggle. And at the same time as the badger is under threat for the perceived damage it does to the cattle industry, the government is also setting its sights on another animal – the wild boar that have re-established themselves in the Forest of Dean. Wild boar (Sus scrofa) are native to Britain and were common in England before they were hunted to extinction around the 14th century. Now, after a break (and several failed reintroductions, notably by James I and VI) they are back, recolonising their old habitat. Where they came from remains a bit of mystery, but they have likely escaped from farms or been dumped by individuals who could not maintain them. Either way, over the last 20 years, healthy and self- sustaining populations have established themselves in various parts of the country, from Devon and Somerset to Sussex and perhaps the Scottish Borders. While purists may argue over the exact genetic make-up of these animals, the bottom line is that they look like wild boar, act like wild boar and are the same species as wild boar. They are most likely descended from French, Swedish and German stock and so of a European variety, and anyway, given a few generations many isolated species may well evolve into a local ‘type’. So should we not welcome the return of the boar, one of our few large, charismatic native species? Their presence enriches the forest ecosystem in other ways too, by repressing bracken growth, churning soil and encouraging plant germination and diversity. 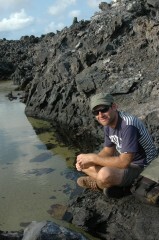 They may also act as a draw for tourists and local nature enthusiasts. But most importantly, their continued presence in our countryside would be a wonderful example of our ability to once again co-exist with a large species that belongs here but which we had forgotten. Of course, not every one is happy with the return of the boar. Some complain of damage to their lawns, others fear they may spread disease. Local newspaper headlines frequently launch blistering attacks on the animals, blaming them for scaring children or frightening horse riders. Some conservationists voice fears that the boars’ rooting behaviour will destroy the beautiful bluebell carpets found in Britain’s forests or even affect ground nesting birds, although to date there is little evidence of this. While it is hard to quantify the damage caused by boar rooting, many stories about safety on the other hand seem overblown. Attacks in mainland Europe (where the boar are counted in millions) do happen but are rare. As far as I am aware there have been no recorded incidents in the UK. By comparison every year in England alone there are 210,000 recorded attacks on humans by dogs. Since 2007, at least 9 people, including 6 children have been killed in the UK by domestic dogs. The toll on livestock and wildlife is greater still, with untold thousands killed by dogs throughout the country. Set against this, the danger posed by wild boar seems quite low. The government’s response, however, has been predictable and confused. For years they refused to even acknowledge the existence of the boar. Then they labelled them ‘feral’. 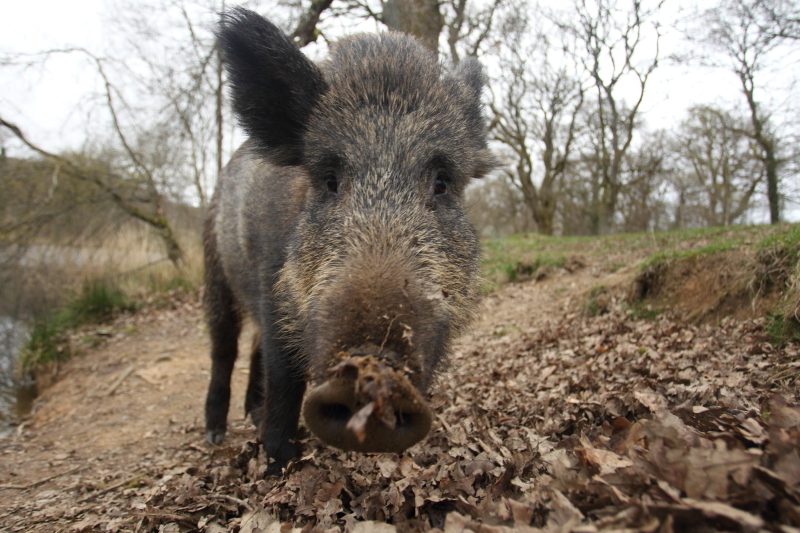 More recently, they have announced the largest ever cull of these wonderful animals in the Forest of Dean, the boars’ main stronghold, which may start as soon as September. At the moment, without accurate population estimates (estimates vary from 200-600) or an assessment of the ecological carrying capacity of the Forest of Dean or of the ecological impacts of the wild boar population, it is difficult to be sure whether there really are too many wild boar. At the same time some of the boar’s supporters maintain that shooting in the Forest only exacerbates conflict by driving the boar families into the surrounding villages, where their impacts are more noticeable. Yet, those supporting a cull continue to press ahead. Without accurate population estimates, it is also impossible to calculate sustainable culling levels, while the lack of a closed season means unnecessary suffering for piglets whose mothers are shot. Indeed, many are concerned that the local authorities are seeking to exterminate the boar ‘unofficially’ by allowing uncontrolled hunting. The irony is that under the European Habitats and Species Directive the government is obliged to consider the return of native species driven to extinction in the United Kingdom. The return of the wild boar is exactly what the Directive requires European countries to do. Furthermore, in this case, a formerly extinct species has re-established itself successfully at minimal cost to the government and taxpayers. 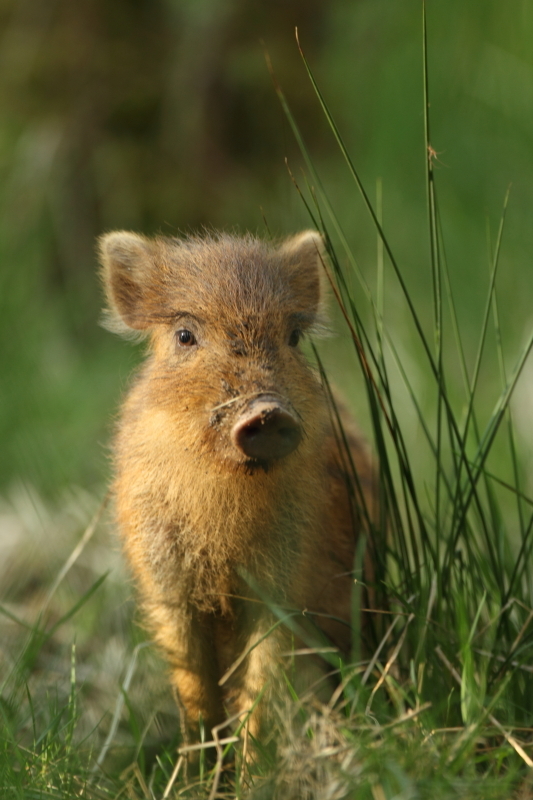 Wild boar are common across Europe, and regularly in close contact with people with few problems. So why all the fuss about boar in Britain? I believe it is partly about having control. The idea of a species establishing and spreading itself across the countryside on its own is an uncomfortable concept for some. It is also partly about acceptance. We accept what we know, and we tend to dislike change. The people of Japan continue to tolerate the bears because they accept their place in the landscape. The boar, like the beaver (another recent native returnee to the UK), is yet to be fully accepted. The potential public ‘risk’ that they pose has not yet been factored in rationally. (How many of those who fear for their children’s safety are equally vigorous in calling for cars to be removed from the roads, for example?) Perhaps in light of this we should be glad that DEFRA is only culling by stealth, and has not simply announced an extermination. But is that really progress? So how does all this relate to the badger? The battle to save the badger from irrational scapegoating is ultimately about much more than this one species. It is about our attitudes to wildlife and our willingness to accept ‘wildness’ and things those areas of wildlife that drift, however marginally, from our control. If we the public show that we will not accept the pointless persecution of one species, then that, surely, can only benefit others.